There are 7 reviews of Grimoire. 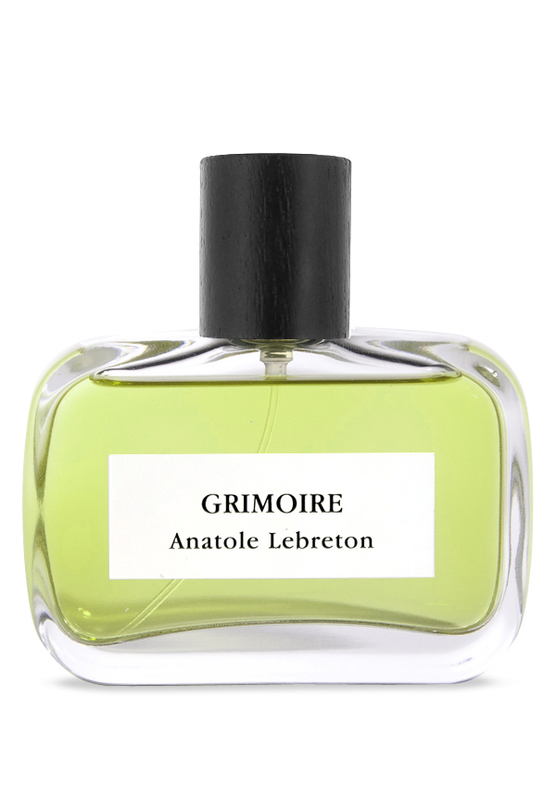 Grimoire (lovely name) is mostly a cumin driven leather fragrance to me. In my books, it is Declaration meets Puredistance M Light minus the vanilla. I love cumin, and the aforementioned duo, so I naturally find much to like in Grimoire. All other notes (lavender, resins) are lost on my skin. I do detect a woody undertone from the cedar (don't get much patchouli either) that counterbalances the cumin. Cumin is definitely the star, showcasing its wonderful warmth and radiance. Still, Grimoire is somewhat subdued on my skin. While what I smell on skin is captivating, what I smell via projection is less striking. Sillage is moderate and persistent, and duration is good - at least seven hours from a dosage of ~ 0.8 ml. While I find Grimoire to be an attractive leather fragrance, I feel it is rather redundant (to me, anyway) given the existence of Declaration (and its flankers), Eau d'Hermes and M. Grimoire could be a nice signature scent for discerning women and men. However, I feel Declaration and M are the scents I'd lean back on. Finally, I should perhaps re-emphasize this: nothing in this smells even remotely of lavender to me. While it's indeed a nice scent (one could do far, far worse), I feel the lack of uniqueness or any novelty leaves me somewhat uninterested. Definitely recommended if you are a fan of this style/niche of perfumes; this could become your second skin. Messe de Minuit finally done right. An intriguing portrait of an alpha male painted in hues of dark greens, ashy greys and earthy browns. In my mind it smells primordial, the scent of long-forgotten ancient forests with its intricately woven tapestry of ferns, moss and lichen-covered bark. OK it’s probably not something the average candy-loving guy would want to smell of. Yet GRIMOIRE surprised me with its thoughtfulness and overall wearability. The blending is seamless, texturally it feels comfortably dry and cool in perfect counterbalance to the saltish skin-like warmth pulsing beneath it like a living beating heart. GRIMOIRE’s deep grey/green and dry chypre-like profile places it in the same postal code as Guerlain Mitsouko, Dior Eau Sauvage Parfum and Papillon Artisan Dryad - 3 highly respected compositions which makes it a big winner and contender for my top fragrance discovery of the year! Grimoire is magical mixture of various scent directions that assembles itself into a potion which radiates earthen mosses, healing minty lavender, and herbal tinged incense woods. There is a dark green direction to the mossiness that hovers close to the earth and crackles with aromatic healing qualities from cumin, basil and herbal lavender. The herbal content here gives the moss a feeling of a healing poultice with bold curative power. The varieties of lavender in this brew offers a green penetrating and medicinal aspect, but also a shimmering purple iridescent aroma that is lighter and floats above with an ethereal presence. Atlas Cedar also helps the penetrating nature of the scent with its pinene woodiness. The central body of the scent has a not altogether pleasant ashen dry and empty feeling. But the surrounding aromas are very engaging and make up for the contradictions. Grimoire offers a very interesting fragrance and a fairy tale of complexities in the fragrance blending. It is a unique experience which is getting hard to find in new fragrances. It is not just a scent. Very spiritual incense and yet human (beware: almost body/animal odors). You leaf through an old spell book with fever, in a Benedictine monastery, near the garden. It is a very, intelligent, rich and uncommon perfume - like all Anatole Lebreton's. Some notes of Grimoire reminds me of my so beloved Ebène (Balmain). There are no member images of Grimoire yet. Why not be the first?